The Do’s and Don’ts of taking your test! When you first go to take your driving test it is important to remember where your lights are and where you emergency brake is. They will ask you to turn on and off your lights and and left and right turn signal. They will also ask where your windshield wipers are and your defroster is. Now for the Do’s of taking your test! These are the Do’s and Don’ts of taking your test. It is important to remember the do’s and also the don’ts. 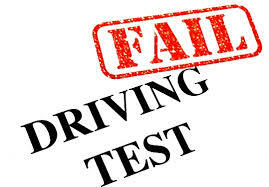 If you fallow the do’s and you remember not to the don’ts then you are sure to pass you test on the first try!